A classic stylist wedding with white roses for the bridesmaids and groomsmen. The bridal bouquet was a standout incorporating pearl pins in with the red roses this gave the bouquet a stylish glamour look with a matching red rose and pearl for the groom. 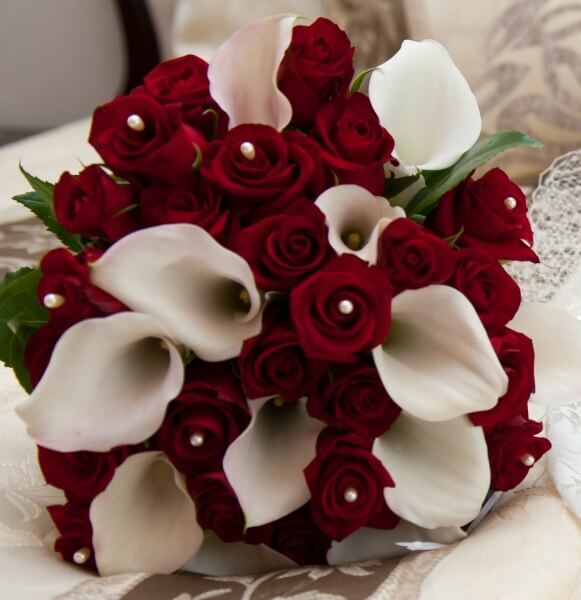 This entry was posted in Bayside Weddings and Events and tagged #baysidebouquets, #bouquets, #bride, #bridesmaids, #buttonholes, #easyweddings, #redroses.